Welcome to Rosewood Place where our elegantly-decorated venue, delicious catering, and unparalleled service will leave you and your guests feeling magnificent. 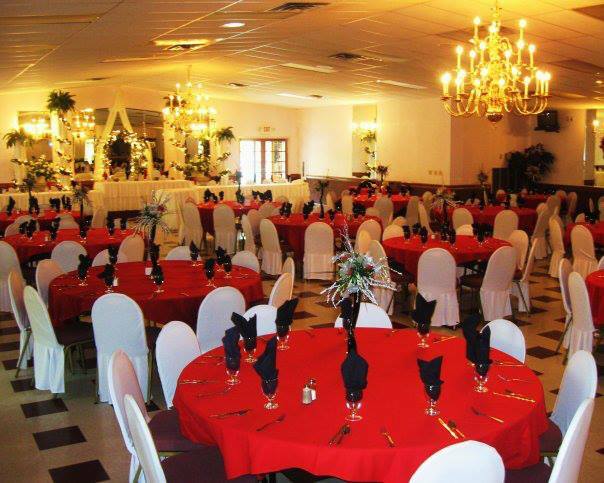 Rosewood Place is our large venue and Rosebud Hall is our smaller venue. Our reception halls are perfect for all types of events whether it be an intimate event or a grand event with many guests. We have the facilities and professional experience to bring the unique vision of your event to life. Our dedicated team will work closely with you to tailor your celebration or ceremony to your exact specifications. At Rosewood Place, we are here to make your event unforgettable and surpass your expectations. We are under new ownership and welcome you to visit our beautiful reception hall that is conveniently located at 4493 Oberlin Ave, Lorain, OH 44052. Give us a call at (440) 989-1871. Our staff at Rosewood Place prides itself in making certain that everything is just as you envisioned. Your guests will be surrounded by luxury as soon as they enter our reception hall. We offer specialized services and exceptional attention to help make your dream into a reality. Copyright © 2019 - Rosewood Banquet Facility LLC - All Rights Reserved.